Is this the best home cinema plasma TV around? Panasonic has done it. This 50-inch plasma TV is a true home cinema heavyweight, in every sense of the word. The Panasonic TX-P50VT30B's backbreaking setup, however, is worth it for one of the most delectable performances of the year in our test rooms. 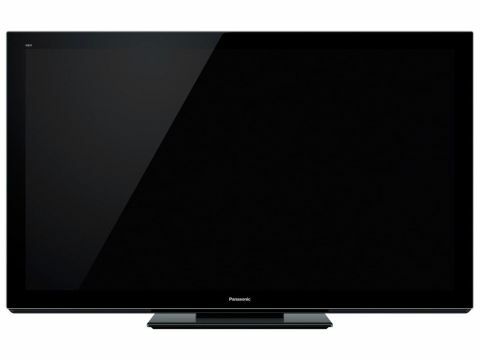 The TX-P50VT30B is the TV screen that cements Panasonic's reputation as the king of 2D plasma, and a similar position awaits it for 3D trickery, too. It's obvious right from the start that this is something special; the build quality is second to none, and the use of a single sheet of glass across the front of a very slim panel puts is above the likes of Samsung and Sony in the style stakes. Looks-wise, the only slight minus is the rather wide bezel around the picture, which stretches to an 'enormous' 45mm - not huge, admittedly, but nothing on the single-figure measurements of Samsung's LED TVs such as the UE40D5520. That's plasma tech for you, but there are so many more pluses to recommend this screen above any other 50-incher. Chief of which is the way the Panasonic TX-P50VT30B handles 3D images. The 3D technology employed here is of the active shutter variety; brands such as Panasonic, Samsung and Sony are fighting a rearguard action against LG's passive 3D system, which boasts multiple 3D glasses that cost just a quid or two, but the TX-P50VT30B is a reason in itself for the active shutter system's existence. Built around the brand's hugely impressive Infinite Black Pro 2 NeoPDP plasma panels, other sizes in the VT30 line-up aside from this 50-incher include the 42-inch Panasonic TX-P42VT30B, 55-inch Panasonic TX-P55VT30B and 65-inch Panasonic TX-P65VT30B. Going for between £1,500 and £4,000, in engineering terms these VT30 screens are the inheritors of both the engineering brilliance and praise thrown at Pioneer's illustrious Kuro plasmas of a few years ago.